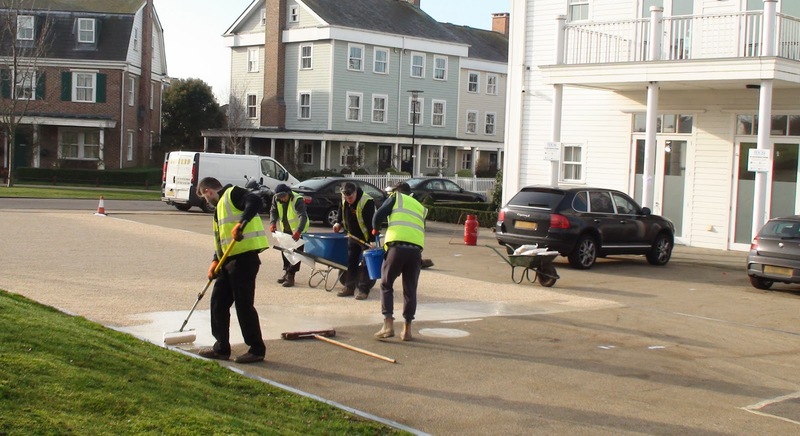 For those who wondered, the car park behind Maple Lodge in the Hamptons is being resurfaced. It is receiving a new coat of resin bonded aggregate (that's 'small stones glued to the ground' to you and me) which should last many years for your parking pleasure. These stones have been selected for their sharp edges meaning that there will be more grip on this particular surface too. The work began yesterday and the resin has been hardening overnight ready to be swept and finished off today. It should be ready to park on around dinner time tonight.